The end of an era; unsteady new beginnings. It’s hard for me to talk about what a comfort The Living Daylights is without delving into my general distaste for Roger Moore, particularly late in his career. He deserves his place in the history of the Bond franchise (and perhaps the Austin Powers franchise as well), but he’ll always be my least favorite 007, and he only got worse as age and a conservative studio slowly caught up with him. The Moore era turned into a parody of what had come before, and if you can watch them on that level (or if you grew up with them) then more power to you, but they just don’t work for me. In all the ways that Moore played an almost caricatured parody of the Bond character, Dalton gets his weary yet consummate adroitness to shine through. He is the slightly more grounded, real-world Bond that we wouldn't see again until Daniel Craig. So when The Living Daylights begins with a fantastic cold open which is more thrilling than anything in the four movies that preceded it, I just breathed a huge sigh of relief. We find this new Bond on a practice mission at the start of the film, and this idea of "practice" is a perfect way to set up the stakes for our characters (i.e. "not practice anymore")—setup which is immediately capitalized on when an assassin intrudes and quickly turns it into a deadly game. 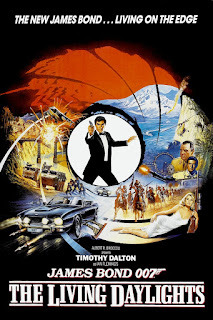 Timothy Dalton isn’t my favorite Bond, and John Glen isn’t my favorite Bond director (he’s better as an editor, as he proved with his work for On Her Majesty’s Secret Service), but the action is finally action again instead of (potentially accidental) comedy. While The Living Daylights succeeds with its thrills, it still feels a bit unsure about how to handle its romance. 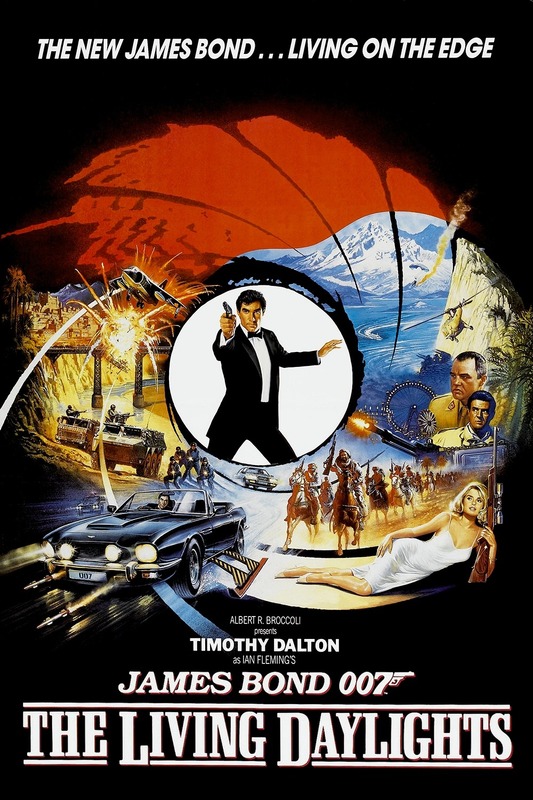 In contrast to Moore’s philandering escapades, Dalton’s 007 seems more of a one-woman man in the vein of George Lazenby. He spends the entire movie with Maryam d’Abo’s Russian ingénue Kara Milovy, and their relationship always feels more like the protective connection of a father to his daughter than the romantic connection between two lovers. This would be fine if it were played platonically, but it gets uncomfortable when the two become romantically entangled. Ironically, Dalton was almost half Moore’s age when this came out, but he feels more like a father figure than Moore ever did. This says something important about the shifting morality of the Bond figure—with Dalton, he became more mannered, less irreverent—which is an improvement in principle but a bit rocky in its execution. In the action scenes, this means Bond feels more on top of his game than Moore did (always being captured by the enemy), but in the romance it means his lover can’t be the naive greenhorn that Kara Milovy boils down to. More confident and serious than its predecessors, The Living Daylights is a step in the right direction for the Bond series. It marks an injection of excitement and vitality into the franchise, and with its awesome gadgets and driving soundtrack, it succeeds in changing Bond from a fool back into the hero he once was.